EFRAT — Rabbi Dr. Kenneth Brander has been named President-Elect and Rosh HaYeshiva of Ohr Torah Stone (OTS). Rabbi Shlomo Riskin, the Modern Orthodox network’s founder and Chancellor, and OTS’ North American and Israeli boards of directors made the announcement Wednesday (October 4, 2017). 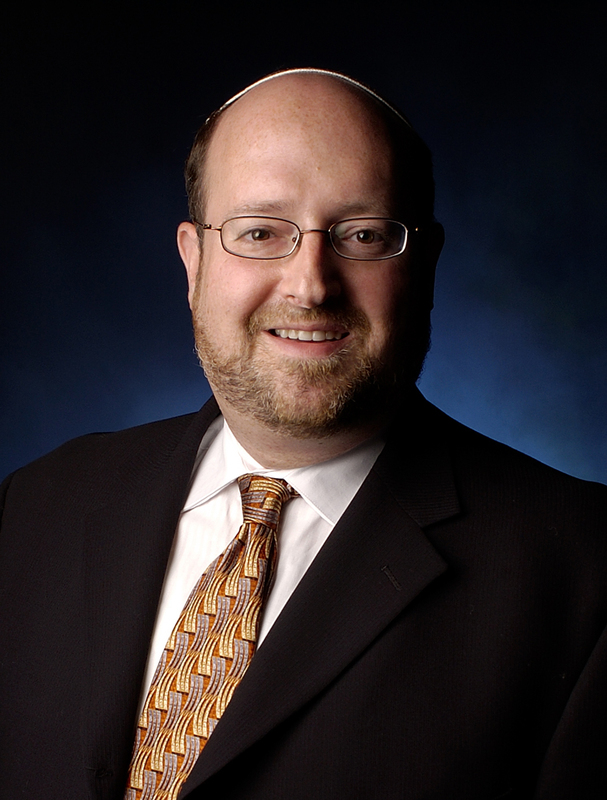 Rabbi Brander comes to OTS from Yeshiva University (YU), where he is Vice President for University and Community Life and teaches rabbinics at the Rabbi Isaac Elchanan Theological Seminary (RIETS). Ohr Torah Stone (OTS) is a Modern Orthodox network comprised of 24 educational institutions, leadership development, outreach initiatives, and social action projects accommodating more than 3000 students on 12 Israeli campuses. Hundreds of its graduate rabbinic couples and emissaries serve Jewish communities globally. Rabbi Riskin is stepping down as Chancellor in July 2018 but will continue his involvement in OTS, the organization he founded in 1983. Co-Chancellor Rabbi David Stav will continue in the significant role he holds today. At Yeshiva University, Rabbi Brander was the inaugural David Mitzner Dean of Yeshiva University Center for the Jewish Future. CJF is YU’s catalyst to infuse the student body with a spirit of leadership and commitment to the Jewish people and society. Among his initiatives at YU were leading the Graduate Program of Advanced Talmudic Studies and Biblical Interpretation for Women providing a platform for women to play leadership roles in the Jewish community and strengthening the rabbinic placement bureau. Rabbi Brander worked with a team of professionals and lay leaders to develop a plethora of initiatives continuing to educate the rabbinic couple in the field and to develop strong lay leaders. He helped develop platforms to disseminate Torah including “YU Torah,” the largest Torah platform in the Jewish world and the “Holiday To Go” series read throughout the Jewish world. Additionally, he created a multitude of opportunities for students to engage in the betterment of society whether around the corner in inner-city public schools or in service to communities around the world culminating with establishing Neal’s Fund, a socio-entrepreneurial fund providing micro-financing grants to students involved in startups that provide services to the Jewish community or general society. Rabbi Brander also serves as a member of the Jewish Federations of North America’s Rabbinic Cabinet Round Table, which brings together Jewish community leaders from all denominations to discuss challenging issues affecting the Jewish community and to meet with key members of the Israeli or American government. Prior to joining YU in 2005, Rabbi Brander served for 14 years as senior rabbi of the Boca Raton Synagogue, shepherding the Florida congregation from 60 families to more than 600 families. While at the south Florida synagogue, he was also involved in the broader Jewish community as, among other positions, founding Dean of The Katz Yeshiva High School, founder and posek of the Boca Raton Community Mikvah, Co-Chair of the Orthodox Rabbinical Board of Broward & Palm Beach Counties’ kashrut organization, and executive board member of the South Palm Beach County Jewish Federation. Rabbi emeritus of the Boca Raton Synagogue, Rabbi Brander holds a bachelor’s degree from YU; ordination from RIETS; a special ordination from the Machon Puah center of medical ethics in Israel and then-Israeli Chief Rabbi Mordechai Eliyahu in the field of medical ethics, reproductive technology and halakha; and a Ph.D. in general philosophy from Florida Atlantic University. Ohr Torah Stone (OTS) is a Modern Orthodox network comprised of 24 educational institutions, leadership development, outreach initiatives and social action projects accommodating more than 3,000 students on 12 campuses all over Israel, and hundreds of graduate rabbis and emissaries serving Jewish communities across the globe. OTS programs include the Israel Henry Beren Campus’ Beren Academic Center; Yeshivat Hesder Machanaim, named in memory of Joseph and Leila Applebaum; Ethel and Adolph Beren Educators Institute; Joseph and Gwendolyn Straus Rabbinical Seminary; Kollel Torat Yosef; Beren-Amiel and Straus-Amiel Emissary Training Institutes; Maarava Program; George Weinstein Institute; Robert M. Beren College; Monique and Mordecai Katz Integrated Studies Program; Andre Neher Institute; Elaine and Norm Brodsky Darkaynu Programs for Men and Women; Besen Family Center for Advanced Women’s Studies; Midreshet Lindenbaum College for Women (with branches on the Chana and Yaacov Tilles Campus in Jerusalem, in Carmiel and in Lod); Maria and Joel Finkle Overseas Program; ”Amlat” Program; Hadas – the Claudia Cohen Torah/Army School; Midrashit; Susi Bradfield Women’s Institute of Halakhic Leadership; Monica Dennis Goldberg School for Women Advocates; Yad La’isha: The Monica Dennis Goldberg Legal Aid Center and Hotline for Women; Claudia Cohen Women Educators Institute; OTS Metivta; Yachad Program for Jewish Identity; Derech Avot Junior High and High School for Boys; Jacob Sapirstein Junior High and High School for Boys; Jennie Sapirstein Junior High and High School for Girls; Neveh Channah High School for Girls, in memory of Anna Ehrman; Neveh Shmuel Yeshiva High School for Boys, in memory of Samuel Pinchas Ehrman; Oriya High School for Girls; Ann Belsky Moranis Program for Arts and Drama; Hertog Center Jewish-Christian Understanding and Cooperation; Dr. Charles and Rella Feldman Neveh Efrat Retreat Center; OTS Spanish-Language Conversion Institute; Beit Yaacov Leib Institute for Jewish Experience; and the Susan Resnick Social Work Program.